‘Aren’t I lucky to be Canadian, we get to choose other countries’ leaders,” was a tongue-in-cheek post on social media which says it all. Canada, Brazil, Argentina and Columbia were among the first to hang on to Washington’s coat-tails with its anointing of Venezuela’s opposition leader Juan Guado to temporarily replace President Nicolas Maduro. And Guado wasted no time in swearing himself into office. 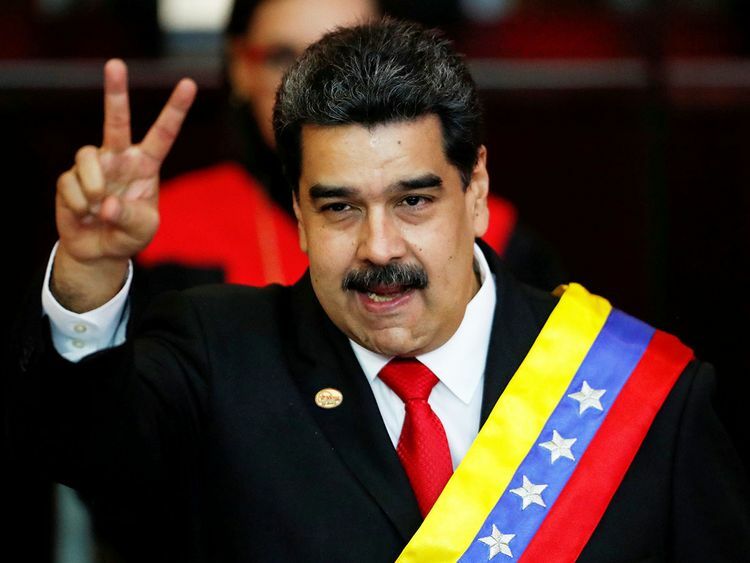 The United Kingdom, France, Germany and Spain have given Maduro an eight-day ultimatum to hold “credible” elections else they will follow suit. Speaking at the United Nations, United States Secretary of State Mike Pompeo has ‘commanded’ the world to pick sides. That is precisely what is happening. Russia, China, India, Turkey, Iran, Bolivia and Cuba have loudly rejected US-led interference in Venezuela’s domestic affairs. When US President Donald Trump was asked whether he was considering a military option, he ominously said nothing was off the table. Other measures being mulled by the White House are sanctions on the country’s vital oil sector, a move that will send global oil prices soaring and will take a terrible toll on Venezuela’s long-suffering population. Venezuela that happens to have the largest oil reserves on the planet is indeed an economic basket case largely due to mismanagement and corruption. However, according to a former secretary of the United Nations Human Rights Council interviewed by the Independent who researched the situation in 2017, “economic warfare” waged by the US, Canada and the EU has exacerbated the economic crisis. It’s hard to believe that Venezuela was not so long ago the wealthiest nation in South America. Maduro’s mentor, the late Hugo Chavez, sold oil at below cost to cash-strapped allies and once gifted free heating oil to the poor of New York City. When oil prices tanked on Chavez’ watch, inflation surged. Last year, the inflation rate was almost 1.7 million per cent and is still soaring. Venezuelans are literally eating out of garbage cans. They cannot afford medicines. Some three million have fled to neighbouring countries. Yes, they are in dire need of assistance, but rather than generously offer financial aid and economic expertise, America and its allies have chosen to orchestrate regime change. Are we to suppose that members of the Trump administration are sobbing into their Coca-Colas over the impoverished starving Venezuelans even as the US commander-in-chief characterises Mexicans, Ecuadorians and others as rapists and drug smugglers? Or, alternatively, could their interest in Caracas be based on its close relationship with Moscow that has invested more than $20 billion (Dh73.56 billion) in Venezuela and is one of its most important trading partners? The double standards here are glaring. The same US lawmakers nipping at Trump’s heels for his campaign’s alleged collusion with Russia threatening America’s democracy are actively colluding with Venezuela’s opposition that refused to participate in last year’s presidential election. History is littered with US-backed coups in Latin America. In 1970, the then US president, Richard Nixon, supported the overthrow of Chile’s socialist leader president Salvador Allende in favour of Augusto Pinochet’s brutal military dictatorship and six years later, the US enthusiastically endorsed the Argentine coup that toppled the democratically-elected leader Isabel Peron. Nicaragua’s Contra guerrillas were sponsored by the US on former US president Ronald Reagan’s watch to bring down the Sandinista regime, while George H.W. Bush launched the invasion of Panama. It appears in that part of the world some memories are short. One would think that those in power cheering Trump’s initiative would be wise to consider the adage ‘there but for the grace of God go I’. Yet, another precedent is being set which, if successful, should make smaller states everywhere shudder. Let’s face it, America’s regime change record in Iraq and Libya not to mention its backing of a virtual coup in Ukraine can hardly be described as success stories. And we thought that Trump’s pledge that the US would no longer be the world’s policeman was sincere!